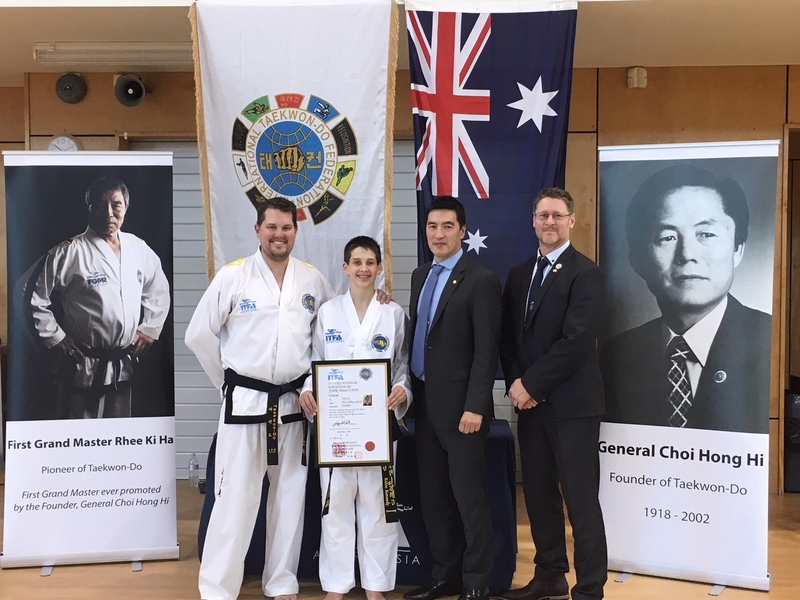 ITFA teaches Taekwon-Do classes across multiple locations throughout Australia for all abilities from beginners to advanced. 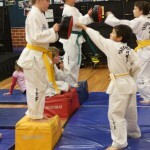 Learning Taekwon-do does require a basic level of co-ordination and an ability to follow instructions. For children, having an understanding of left and right is advantageous. 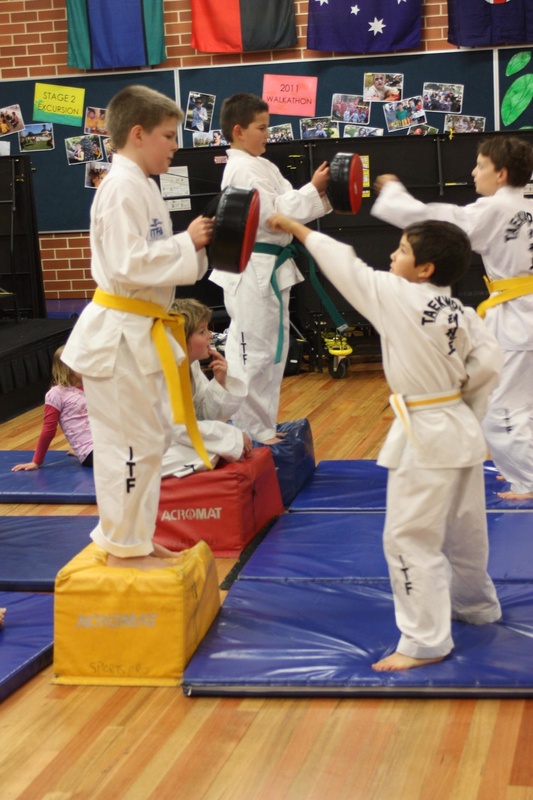 The free trial class offers an opportunity for the student to see if they like Taekwon-do but for the younger students, also an opportunity for the Class Instructor to deem if they are ready to start. The ITFA accepts students from age 5. Junior classes are usually from 5-12 years old although this may vary between Instructors. Junior classes have a strong emphasis on the five tenets of Taekwon-do to enable the students to follow instruction and learn effectively. Classes include all aspects of the Taekwon-Do syllabus, including pattern, step-sparring, free-sparring, destruction, self-defence, terminology and moral culture. The Instructors use a lot of games and drills to make the class fun and dynamic. These activities help to improve all aspects of Taekwon-do including strength and conditioning, fitness, agility and team work. To find out more about what we teach Adults and where you can attend classes visit our information page. 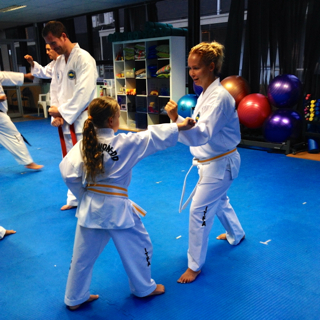 Family classes are mixed in age and ability. The ITFA accept children from age 5 depending on their ability assessed by the Class Instructor. These classes enable parents to train together with their children. 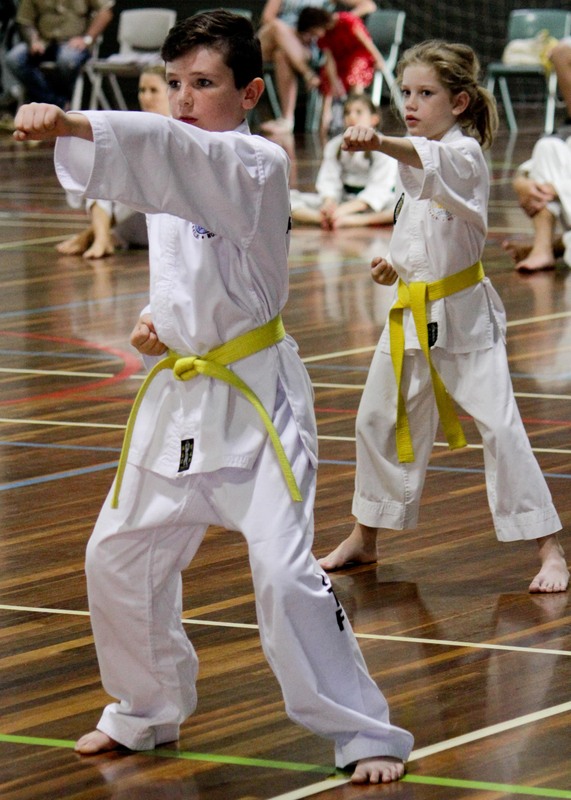 Classes include all aspects of the Taekwon-Do syllabus, including pattern, step-sparring, free-sparring, destruction, self-defence, terminology and moral culture. The Instructors encourage the parent and child to work together so they help each other with independent learning away from the more structured class environment. Family classes are an ideal opportunity for parents and children to grow together whilst learning this dynamic Art. To find out more about what we teach families and where you can attend classes visit our information page.